Understandably, the chief concern of many independents is that Bertrams, one of their key suppliers, is unaffected which, at the time of writing, seems to the case. If there is a hiccup in supply to the supermarkets – whom so many publishers have courted over the last ten years, at the expense, some would argue, of bookshops that will actually order a book for you and give you advice – then independents could be forgiven for not being uduly bothered. So Sainsbury’s has a problem with its book supply? Tough. Trying doing business when you can’t even buy some top 20 titles from a wholesaler at the price some supermarkets sell them at. If customers fail to find certain titles in supermarkets as a result, it may even cause a few of them to visit an independent or a stockholding bookshop. The supermarkets’ loss could be bookshops’ gain. And if bricks and mortar stores pick up a few extra sales in the meantime, then all the better. This really is the year booksellers are going to need to find a new way to bring customers into the store during the holiday shopping season. So, what are booksellers doing on Black Friday, the busiest shopping day of the year when retailers offer the biggest deals to lure in customers? Not a whole lot. One web site that tracks Black Friday deals says B&N is offering a 40% coupon for one book (so long as I pay with a MasterCard), Borders sent out an email touting their “Black Friday” deals and the best “deal” I remember was “buy one book light, get one free.” There are other deals – Wal-Mart is selling books at 50% off (but with a limited selection) and Half-Price books is giving a 20% discount on all books for the first few hours they’ll be open tomorrow. But this seems like a bunch of “bah hum bug” deals indeed. I admit that I may be wrong about this, but unlike the majority of other retailers who make their deals very obvious and easy to find, the booksellers marketing has been less than stellar. There are a variety of coupons, codes and conflicting messages about what’s available. And that’s just the big box stores. Most indie booksellers don’t discount at all and those that do keep it at bare minimum. Is this a lost opportunity? I wonder if offering a big discount on one day wouldn’t make sense, if only to capture those dollars early in the shopping season before they are spent on the latest I-pod. No, the margin won’t be that great on a book discounted 40%, but it’s better than seeing that money go elsewhere. I hope I’m not giving anything away when I tell you about the “Author’s Suite” at the Alexis Hotel in Seattle, Washington – the home away from home for authors visiting Amazon.com and local indie bookseller Elliott Bay Book Co. The room is decorated with literary portraits, including Hemingway and Dorothy Parker (both over the bar), Arthur Miller and Marilyn Monroe (in the bedroom), Pablo Neruda (over the fireplace), as well as George Bernard Shaw, Anton Chekhov and Toni Morrison. To think think Stephen Hawking had likely bathed in the same whirlpool tub and Chuck Palahniuk has slept in the same bed left me feeling a bit, errr, odd – or was it – awed. Of course, the dilemma with being surrounded by so many books (and the spirit of their creators) is what to choose to read. I was happy to discover more than a few titles I’d never heard of before that I suddenly had an urge to read. But I was faced with a dilemma, what happens if I start a book but don’t finish it…?! Surely, I can’t slip this signed edition into my bag to finish at home in my own time? I have to wonder what valuable titles may have disappeared into travelers bags to be skirted off to the four corners of the earth. It’s amusing to think that some day in the future, a bibliographer might sit down to peruse a catalog of signed first editions and come across so many copies inscribed to “Alexis” and set out to discover who that was. A new report, commissioned by the UK Booksellers Association, which compares the UK bookselling industry with five other markets: Ireland, the US, the Netherlands, Sweden and Finland, has reignited the whole debate about the Net Book Agreement (NBA) and discounting. The Benchmarking Study http://www.thebookseller.com/news/71242-discounting-failing-booksellers.html concludes that British bookshops are making less money, seeing less market growth, and giving away more in discounts than the five other countries surveyed. UK bookshops are also making fewer profits per book. There has been some growth in the UK market though, with volume sales up 19% (4% excluding Harry Potter) in 2007 over 2006, according to Book Marketing Limited. However, the 2008 figure – and more particularly perhaps, as we enter recession, the 2009 figure – may make salutary reading. The Comments section on the Bookseller’s website has been heavy with responses http://www.thebookseller.com/blogs/71243-is-the-price-wrong.html. Should there be some sort of compromise NBA, which limits the discount on new titles, or perhaps does not allow discounts for the first two months of a book’s release? Julian Rivers, who for years was Terry Maher’s right hand man at Dillons when Maher led his campaign against Retail Price Maintenance (RPM), believes “one should not substitute legislation for commercial common sense”. He believes publishers have abandoned a consideration for the whole market and have concentrated too much on pleasing the supermarkets. The result, of course, is that ‘proper’ bookshops suffer. Yet Hachette UK is making a stand here, and independents have recognised it and applauded it. Hachette UK CEO Tim Hely Hutchinson has said many times that UK publishers have already given away too much in discounts and that enough is enough. Trouble is, of course, publishers brought this situation upon themselves by abandoning the NBA and therefore letting the supermarkets become major players: publishers want supermarkets because that’s how they can achieve the volume sales and get their books into the charts. And so it goes on. So much of life comes down to free market versus intervention arguments. Why have speed limits? Sod it – how dare anyone tell me how fast I can drive? But of course, the reason we have intervention here is that it is better for everyone. The interventionists are having a good time at the moment, thanks to the global financial crisis. Europe, in its widest definition, is roughly split over intervention on pricing. RPM, either as law or a trade agreement, exists in Austria, Denmark, France, Germany, Greece, Hungary, Italy, Netherlands, Norway, Portugal and Spain. There is no RPM in Belgium, Estonia, Finland, Ireland, Latvia, Luxembourg, Poland, Russia, Sweden and the UK. The US, of course – the traditional home of the free market – may not have RPM, but it does have the Robinson-Patman Act. It has alway struck me as ironic that the UK is now arguably more free market than the US. Doesn't the US also have some sort of cap on the earnings of sports stars too? There are some who believe the UK needs something similar - certainly in the book trade, perhaps even when it comes to footballers. The National Book Awards is the book world's equivalent of the Oscars. Last night, the annual black-tie ceremony in New York City took place at the Cipriani Wall Street restaurant – a luxe upgrade over the previous venue of the somewhat threadbare Times Square Marriott Marquis. With tables going or as much as $25,000 each (or about the same annual salary as an editorial assistant makes in a year) there were no cheap seats. From the sound of the speeches, it could have passed for an Obama fundraiser, with most of the speeches invoking the President elect’s name. This year, 200 publishers submitted 1,258 books to compete for the awards honoring the year's best works of fiction, nonfiction, young people's literature and poetry. Of those, 20 finalists were selected, five in each category. What surprised me is that four of the nominees that graced the list were Texans. Kathi Appelt, Reginald Gibbons, Annette Gordon-Reed and Mark Doty – were all Texans (two native Houstonians, one by proxy, and another from 40 miles north.). And what’s more, Mark Doty and Annette Gordon-Reed won. That Doty took the prize isn’t a surprise – his book, Fire to Fire: New and Collected Poems, culls the best from more than two decades of Doty’s exemplary work. He’s a great poet and more than deserving of the award. Annette Gordon-Reed is a more interesting case. She won in the nonfiction category for The Hemingses of Monticello: An American Family, a group biography of one family of slaves owned by Thomas Jefferson. It covers Jefferson's relationship with Sally Hemings, who became a lover and bore him children, as well as the rest of her family. Her timing couldn’t have been better. She told me, “Obama’s ascendancy doesn’t solve all problems, but it is a major step in the right direction,” adding, “Although the majority of whites did not vote for him, I can take some comfort in the fact that huge numbers did not go out to vote against him, to prevent the election of a non-white person to the presidency. I think that would have happened in years past. Thirty years ago today 909 people, including some 300 children, died at Jonestown in Guyana after drinking cyanide laced fruit punch. The Jonestown Massacre may have since been reduced to the cliché “drinking the Kool-Aid,” yet remains a terribly shocking and tragic event. How could so many people blindly follow Jim Jones into taking their own lives? That was a question I spent the summer of 1993 trying to answer. While a graduate student, I was hired by a famous playwright to research the Jonestown massacre for what is still the most ill-conceived project I’ve ever heard of -- Jonestown! The Musical. I kid you not. The playwright was working on the libretto and composer for the project was a famous blues singer. The project was backed by a well-known Broadway producer . Everyone involved was concerned that the musical not be perceived as ther mere commercial exploitation of a horrifying series of events (Imagine, “9/11! The Musical!”), but as a way of honoring the victims memories. So, for three months, I was paid $10 an hour to sit in my sweltering one room Manhattan apartment and read photocopies of the hundreds of handwritten “testimonies” (i.e. suicide notes) of Jim Jones' victims, some written by teenagers, others by mothers on behalf of their children, many men. Almost all the notes followed a script, presumably issued by Jones, and my job was to highlight anything personalized – a mention of a specific loved one, for example. Sadly, there wasn’t much there. After, reading reams of transcripts of Jones’ speeches and listening to audiotapes of cult members, I came to understand he was a persuasive figure with a strong personality, one that preyed upon only the most vulnerable. By that point, they lost their own voices. Spending the summer with the doomed Greek chorus of the Jonestown dead in my head still haunts me. By now, their testimonies have started to fade from my memory. This "anniversary" is a sorrowful, seemingly arbitrary date. Please, let them rest in peace. For those interested in the subject, I would recommend journalist Tim Cahill's piece "Into the Valley of the Shadow of Death," which he wrote for Rolling Stone magazine. It’s been more than a week since returning from the Gower Peninsula of Wales where I had the honor of serving as one of the judges for the Dylan Thomas Book Prize, which gives £60,000 to a writer under 30. Nam Le, 29, won for “The Boat,” his collection of extraordinary short stories. Then on arrival at the beautiful grounds of Fairyhill (no kidding!) I ordered a traditional Welsh breakfast of Laver Bread and cockles. Laver bread, as it turns out, is not bread – its seaweed (also known as black butter, purple seavegetable, or sloke). Uh, yum? There are still wild places on this planet, even in the midst of civilization. We had just come from a party following a reading by the workshop's most recent success, a Chinese woman trying to immigrate to America who had written a book of short stories about Chinese characters in stages of migration to America. The stories were subtle and good. The gossip was that she'd been offered a substantial six-figure contract for a two-book deal. It was meant to be an unspoken rule that such things were left unspoken. Of course, it was all anyone talked about. "It's hot," a writing instructor told me at a bar. "Ethnic literature's hot. And important too." A couple of visiting literary agents took a similar view: "There's a lot of polished writing around," one of them said. "You have to ask yourself, what makes me stand out?" She tag-teamed to her colleague, who answered slowly as though intoning a mantra, "Your background and life experience." Other friends were more forthright: "I'm sick of ethnic lit," one said. "It's full of descriptions of exotic food." Or: "You can't tell if the language is spare because the author intended it that way, or because he didn't have the vocab." I was told about a friend of a friend, a Harvard graduate from Washington, D.C., who had posed in traditional Nigerian garb for his book-jacket photo. I pictured myself standing in a rice paddy, wearing a straw conical hat. Then I pictured my father in the same field, wearing his threadbare fatigues, young and hard-eyed. "It's a license to bore," my friend said. We were drunk and wheeling our bikes because both of us, separately, had punctured our tires on the way to the party. "The characters are always flat, generic. As long as a Chinese writer writes about Chinese people, or a Peruvian writer about Peruvians, or a Russian writer about Russians..." he said, as though reciting children's doggerel, then stopped, losing his train of thought. His mouth turned up into a doubtful grin. I could tell he was angry about something. "Look," I said, pointing at a floodlit porch ahead of us. "Those guys have guns." "As long as there's an interesting image or metaphor once in every this much text"—he held out his thumb and forefinger to indicate half a page, his bike wobbling all over the sidewalk. I nodded to him, and then I nodded to one of the guys on the porch, who nodded back. The other guy waved us through with his faux-wood air rifle. A car with its headlights on was idling in the driveway, and girls' voices emerged from inside, squealing, "Don't shoot! Don't shoot!" "Faulkner, you know," my friend said over the squeals, "he said we should write about the old verities. Love and honour and pity and pride and compassion and sacrifice." A sudden sharp crack behind us, like the striking of a giant typewriter hammer, followed by some muffled shrieks. "I know I'm a bad person for saying this," my friend said, "but that's why I respect your writing, Nam. Because you could just write about Vietnamese boat people all the time. Like in your third story." He must have thought my head was bowed in modesty, but in fact I was figuring out whether I'd just been shot in the back of the thigh. I'd felt a distinct sting. The pellet might have ricocheted off something. "You could totally exploit the Vietnamese thing. But instead, you choose to write about lesbian vampires and Colombian assassins, and Hiroshima orphans—and New York painters with haemorrhoids. Would it surprise you if I revealed that Colombian assassins, Hiroshima orphans, and, indeed, Vietnamese boat people all feature elsewhere in Le’s book. The story is a masterful discussion of the notion of an “ethnic literature” and using one’s own story as fodder for fiction. I don’t have a word for what this kind of metatextual commentary is…post-modernism perhaps, or merely self-confidence. Another of the shortlisted titles, Dinaw Mengestu’s “Children of the Revolution” (published in the US with the title, “The Beautiful Things That Heaven Bears”) offers a perspective on the immigrant experience. It is a remarkable novel about a trio of African immigrants living in Washington DC who never quite feel at home in America, though know they have no other home to which they might return. It is very much an African novel set in America. The other four shortlisted titles -- Ceridwen Dovey’s novel “Blood Kin,” Edward Hogan, “Blackmoor,” and Ross Raisin’s “God’s Own Country” all deserve to find readers and I would recommend them heartily. Dovey’s book – a group portrait of about the cronies of a corrupt president facing a murderous coup – is written in a plain, allegorical style reminiscent of early J.M. Coetzee and would lend itself easily to translation. And, if you’re inclined to take bets on the long odds, I would venture to guess that the 22-year-old Leeds poet Caroline Bird, whose book “Trouble Came to the Turnip” greatly impressed the judges and is appears likely to make a number of reappearances on the shortlist. She was, if you polled those who attended the presentation ceremony in Swansea, the fan favorite. It is one of the most striking and enjoyable books of poetry I’ve read in a long time. Scientology. There, I’ve said it. Are we safe so far, or do we need to call the lawyers? I must tread carefully here. You will have read about John Duignan’s The Complex: an Insider Exposes the Covert World of the Church of Scientology, bravely published by Dublin-based Merlin Press. The title was briefly listed on various websites, but has now all but disappeared. One could spend the rest of one’s life reading about scientology on the Net. Let me direct you to one site. It’s not a scientology site, but brace yourself nevertheless. Glosslip.com (‘celebrity gossip from our lips to yours’) claims that in early November ‘Celebrity-Scientologist-in-Chief’ Tom Cruise (forgive me, Tom – and I like some of your films), met with Amazon executives. It asks: ‘Is it mere coincidence that after that meeting we are seeing this book, which was serialised in the UK’s Sun last week, now being pulled from Amazon UK?’ An interesting question. This whole story is partly about libel law and how it differs on either side of the Atlantic. Essentially, as I understand it, UK law is much tougher on the defendant. In the UK, the onus is on the defendant to prove that the material published is true, which can sometimes be very difficult to do. The claimant only has to prove it’s defamatory which is relatively easy. The book has been pulled from Amazon.co.uk, but is still available from Amazon.com. A spokesman at Amazon.co.uk said: "Amazon.co.uk believes strongly in free speech and it is our policy to make available to our customers the broadest possible selection of books and other expressive materials containing a wide variety of views and opinions. Unfortunately, we have had to withdraw The Complex by John Duignan in the UK because we received a specific allegation that a passage in the book is defamatory regarding an individual named in the book. In circumstances such as these, UK law gives us no choice but to remove the title from our catalogue. The title is still available for sale from Amazon. com." Does any of this matter? Well, the UK charity The Family Survival Trust says it receives many calls from parents who are upset about their children’s involvement with scientology. The trouble is, the children in question are adults. And here’s the difficulty. If those adults decide to become more and more involved with scientology, and if they say: “Look, I’m fine, I’m happy, this is my decision”, their parents and friends may not like it, but there is not a lot they can do about it. But it’s worth asking the question, how did the people who join scientology – and become further involved with it – come to make those decisions, an area of enquiry which can bring the lawyers running, I feel, so I’ll leave it there. In the meantime, the title can be bought easily from Irish online sellers Eason.ie and Hughes & Hughes, and is also, curiously, at the time of writing, available from Foyles and Blackwell in the UK. The early signs of a decline in US publishing activity that we could all sense at Frankfurt are spreading through the supply chain. Chinese printers are starting to sweat. In a sign of things to come, I've just had my first email from a Chinese printer offering a 'special price' due to a review of 'pricing structure.' The email also offered a shorter production time if I place my order quickly, ie right now. Today. While that's good news for publishers in search of a printing bargain in the short term, it suggests print runs are coming down and projects are being shelved. That in turn suggests the soft retail environment is beginning to bite. It's a downward spiral if you're not very careful. Like many publishers, I'm now looking at my own list next year and thinking: do I really need to print X thousand copies of that title? The answer is always: print as few as you can but don't forget to keep the profit margin. Fail to do that, and soon it won't just be printers writing begging letters. It is with sadness that I report the death of Fred Newman, founder of Publishing News, the paper I worked on for 20 years, until its closure in July of this year. Fred, who was 76, had had cancer for some time, but battled on, maintaining as cheerful a demeanour as possible to the end. Fred’s legacy will undoubtedly be the two strands of the British Book Awards – the Galaxy British Book Awards aimed at the consumer, and the British Book Industry Awards for the trade itself. Despite the closure of the paper, the two events continue. The former showcases the Richard and Judy Best Read of the Year, of course. It is worth noting that Fred is at least partly responsible for the prominence of the Richard & Judy Book Club throughout the book trade, by far and away the most successful book promotion the UK has ever seen. In the sometimes-pretentious world of publishing, Fred was down to earth. Terry Maher, the former Dillons chief who fought against the NBA, would love to tell people just how many of the Booker list he had read; Fred didn’t mind saying he was reading Jeffrey Archer. He didn’t care what people thought. If he liked a book, he liked a book, and that was that. When he founded Publishing News in 1979, with his Oxford friend Clive Labovitch, he took on the monopoly enjoyed by the Bookseller and brought some refreshing Fleet Street vigour to the somewhat staid atmosphere of book trade journalism at the time. He was from the Street himself, having spent time on the Daily Sketch, and although his approach was occasionally too tabloid, when it worked, the result was both incisive and fun. My own fondest memory is of putting together endless Frankfurt Dailies with him in the Messe. Every year Fred would bring his battered portable, manual typewriter with him to the fair, and proudly set it up while all around us flat screens and lap-tops glowed on neighbouring stands. It didn’t matter what we put in the paper: when people stopped by the stand, all they wanted to know about was Fred’s typewriter . So we did a story about it, calling it ‘The Stone Age Daily’. Fred, I hope it’s up there with you now, clattering away as it did in Frankfurt. My thoughts are with your wife Sylvia, and children Stephanie, Deborah and Mark. Good news: someone is publishing Barack Obama’s moving victory speech. Random House are publishing in the US and Canongate in the UK. It will be published in the second week of December which means that the President-elect could find himself with three titles in the UK bestsellers. 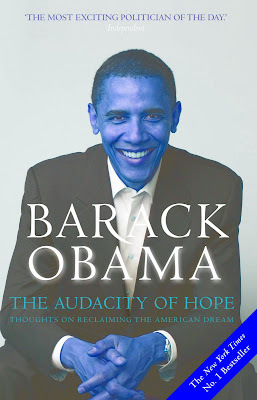 The new book will include eight other speeches, in addition to “Yes we can”. 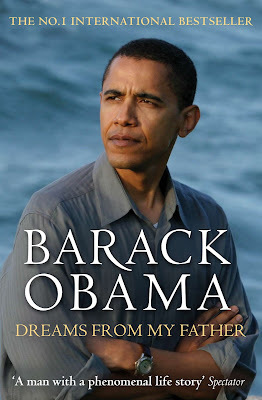 Meanwhile, Obama’s Dreams from my Father and The Audacity of Hope have now sold approaching 150,000 in the UK. Canongate Publisher Jamie Byng says the initial printing of the new title will be around 50,000 copies. Surely this must make Obama the most bookshop-friendly President ever to take up office. Thanks to changes to the Copyright Act, US booksellers can now freely ignore territorial copyright restrictions and import all overseas editions of any US book in whatever quantities they want. Don't expect to read this sentence in Publishers Weekly any time soon - there would rightly be an uproar at the mere suggestion, I'm sure. But such a situation may soon be a possibility in another English language market. In Australia, the Productivity Commission - a Government-funded think-tank whose ominous goal is 'achieving a more productive economy' - has decided to look at the book industry. More specifically, the Australian Government has asked it to report on whether Australia should become an open market for books - whether large scale parallel importation of competing editions should be permitted. A little history: this isn't a new idea. The industry addressed this question in the early 1990s, resulting in amendments to the Copyright Act that gave booksellers a little more freedom to import what their customers wanted, and put more pressure on publishers to import books promptly if they wishes to enjoy exclusivity. A decade later, publishers found themselves again successfully preventing the market opening up. Thus, having the whole issue rear its ugly head again is rather like seeing the garlic-strewn, silver-bulleted, heart-staked vampire springing to life one more time in the final reel of the horror film. The hue-and-cry has gone up and the pitchforks have been handed out. Printers, literary agents, authors and publishers have joined in a coalition to argue for the current system, with one notable exception. The Australian Booksellers Association on the other hand has taken a more considered position, commissioning a report before deciding that, yes, an open market was in their best interests. I'm in two minds about the whole thing. Evidence from New Zealand, which has had an open market for a decade, suggests that local publishing and distribution has been seriously affected. Kevin Chapman, who runs Hachette's business in New zealand recently called it a 'cancer, an insidious thing.' Ironically, New Zealand's loss has been Australia's gain: distribution for New Zealand (a few hours by plane to the south-east of Australia) is now frequently done from Australia and several local distributors have closed. This has arguably given NZ consumers less choice about what they can buy from a bookseller. On the other hand, we almost have an de facto open market in Australia already. Consumers can buy from anywhere in the world (and choose Amazon, invariably), and many booksellers order more books from US wholesalers Ingram and Baker & Taylor than they do from most local distributors. So, what would be lost if there was an open market? Well, firstly, it's unlikely Australian publishers would buy as many rights from US and UK publishers as they currently do. Without the protection of territorial copyright, who would be willing the make the investment? US and UK publishers would also probably find it harder to get direct distribution for their books in Australia. The net effect might be that less international books are published and distributed in Australia. Currently over half of all books sold in Australia come from overseas. Would Australian books take up the slack? Large publishers argue no. They say overseas bestsellers help subsidise local lists. Smaller publishers, most of whom rely on the sales of locally-authored books, might feel that there would be more space on the bookshop shelves for local books in such an environment, and that the dominance of the large multinationals might decline. While my own business buys most of our books from overseas publishers (mostly in languages other than English), I doubt the move would change our publishing program that much, although I might be more wary of buying books that had already been published in the US or UK. Booksellers, on the other hand, see an opportunity to be more entrepreneurial, and to have more say in what is stocked on their shelves. It's an interesting debate, and one you can follow by signing up on the Productivity Commission's website. The timing couldn’t be more perfect. Black History Month has just finished in the UK. My son stood up in class to talk about Rosa Parks. Then, just a few days later, came Obama’s magnificent speech and I was able to show him that paragraph in which he talked about 106-year-old Ann Nixon Cooper. '“She was there for the buses in Montgomery, the hoses in Birmingham, a bridge in Selma, and a preacher from Atlanta who told a people that "we shall overcome.” ' It’s a moving and wonderful feeling when your own children’s lessons at school, and real, living history outside the classroom, coincide. But that speech. Toni Morrison’s 1993 Nobel Prize Lecture was published as a booklet; so was Doris Lessing’s last year. I know Obama’s is available over and over again on the Net and was printed in some newspapers; yet, given its historical importance, and majesty, is there not scope for a high quality commemorative edition of some sort, perhaps with a brief biographical sketch of Ann Nixon Cooper too? He said: “Never in all of the years I've been in business have I seen a worse outlook for the economy. And never in all my years as a bookseller have I seen a retail climate as poor as the one we are in. Nothing even close." On Friday, Chicago book distributor IPG reaffirmed what everyone at Frankfurt was buzzing about: Borders is in real trouble. IPG is being very conservative in shipping orders to Borders, though it typically carries some $2 million worth of receivables. What prompted this notice? Borders informed IPG they will not pay any debt to the company for another two months due to “unexpectedly high returns.” Ouch. Borders is in the midst of rolling out a new “concept” across the chain, which shrinks the book stock by 15% -- and once that’s full completed, a guesstimate would suggest it would shave a point or two off of publishers overall sales. What’s this mean? Well, typically, independent retailers in the US rely on holiday sales to account for their profit for the year. A publicly traded chain like B&N, the dominant US bookseller, is somewhat insulated, from this but you can expect to hear of some indies closing coming year if Riggio’s prediction stays firm. One indie in my home state of Texas closed quite suddenly just this week and it looks like pre-holiday closures are going to be a trend. One immediate consequence of Obama's victory was the boost in sales for newspapers. So now we have confirmation that print is not dead -- at least as far as collectors are concerned. This merely reinforces my belief that the long-term future of books lies in bifurcated markets: Half in cheap or reasonably priced e-books and the other half in high cost collectable volumes (be it what it may – art, photography, or even leather bound volumes of fiction). The days of mass merchandising $35 hardcover topical nonfiction books and midlist fiction are, as we all know, ultimately numbered. Don’t believe me – just ask Harper UK CEO Victoria Barnsley. She just told the London School of Economics as much in a speech earlier this week. The economy might just hasten the change: Those $35 hardcovers start to look like a real luxury in a recession. No, it won't happen immediately ($350 Kindles and Sony e-readers also look like luxuries), but you can bet a whole lot more people are going to give them a try. There will be converts, guaranteed. Obama promises a great deal -- not the least of which is hope. Yet, it goes without saying, that he's taking leadership of a nation that is suffering from a tarnished image abroad and fighting a foundering economy. But if we take the seemingly beleagured publishing industry as an example -- how may times have book publishers been counted down-and-out -- whether by CD ROM, the Internet, or now, ebooks -- then we know American will be fine. Booksellers are already wondering if the Democratic government will make it easier for employees to unionize. A few publishing people have started to weigh in as well -- notably, Michael Hyatt, president and CEO of Thomas Nelson Publishers, says he is willing to give Obama a chance. I'm curious what effect -- if any -- do you think Obama's election will have on publishing? I'll answer the most obvious question first: Will there be a raft of Obama-related titles? Some, I think, but not nearly as many as the Bush administration produced. Writers tend to work best in opposition and Bush certainly served up lots of material. I do think there will be numerous foreign journalists now clamoring for a post to the US to document, ala Tocqueville, what will be seen as a radical shift in American thinking. (I'm talking to you Bernard-Henri Levy). Otherwise, I'm not so certain Americans have more of an appetite for more political navel gazing. Back in the good old days, a publisher printed a book and that was that. Now we have a plethora of formats: ebooks (in several flavours), print-on-demand, downloadable audio etc etc ... and now 'turning page' editions. 'Turning page'? You might think that's what any printed book offers, but we're talking about something else entirely. While in Frankfurt I received a pitch from a UK company called Escridoc, which was offering to create paperless digital 'turning page' editions of my books for free in return for my allowing them to be offered exclusively for sale on Escridoc's website. 'Turning page' technology is not new - there are dozens of variants, including those employed by trade magazines such as The Bookseller, Publishers Weekly and Bookseller+Publisher. In essence, the technology digitally recreates as closely as possible the experience of reading a printed publication - even down to the sound of the page turning. Importantly, a level of security can be imposed on a 'turning page' edition, if required. Don't want someone to be able to print your 'turning page' book? Want to prevent anyone other than the purchaser from reading it? Escridoc says you can do both. What makes Escridoc interesting is not that it can create 'turning page' editions of your books and magazines, but that it intends to sell them online to consumers. It's a bookseller, pioneering a whole new way of selling intellectual property online. 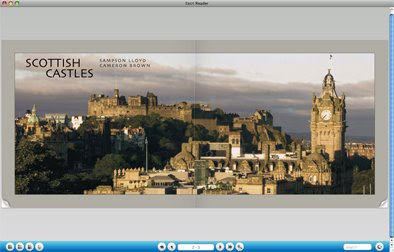 It remains to be seen just how many consumers will be happy to pay for and read a book solely in this format (which can be read currently only on a computer screen), and indeed how many publishers will license their copyrighted material to Escridoc for this purpose. Escridoc also has to establish that they are a good bookseller, regardless of the technology. As Amazon has shown us, replicating the transaction that takes place in a bricks-and-mortar bookshop on a website requires a high level of complexity and sophistication in a website's architecture. Escridoc's website has only just been launched, so we must be charitable, but its first iteration is unlikely to have any existing online booksellers cowering in fear. Still, it's early days, and the fact that so many readers are now being exposed to 'turning page' technology online may make them more willing to buy paperless editions such as those offered by Escridoc - providing the price is right.